My friend Camilla taught me the most fabulous word the other day. When she said it, I instantly giggled, thinking, “that is the best way to describe a good mood.” We laughed just at the idea of how we could use the word and realized that we were actually experiencing the meaning of it in that moment together. ‘Hygge’ is a Danish word (pronounced ‘hooga’). Roughly it means coziness. The Danish use the philosophy of Hygge as a way of finding a recipe for a happier life. Hmm, I like that idea. Sort of like my own philosophy of living a Contagiously Positive life, but with a much cooler word. It is not just a word though; it is a way of being, like choosing to live a positive life, or living with gratitude. It means simplicity, taking time to unwind and slowing down your pace of life. I believe we all need that. When you enjoy a warm cup of coffee or tea and get a feeling of warmth and comfort run through your veins, that is Hygge. When you lie in bed for a few extra minutes on a cold morning and feel total bliss at having that moment, that is Hygge. When you spend quality times with friends and family who fill you with joy, that is Hygge. When you feel gratitude, you are experiencing Hygge. When you put your feet in the sand and love the warmth feels, that is Hygge. When you do absolutely nothing, with not a care in the world that the chores are not getting done because you are relishing in the moment, that is Hygge. Sitting by a warm fire. The sun on your face. A hug from your love. Relaxing in a hot bath. Sitting in a hot tub in the winter, staring at the stars. A great glass of wine. Hygge, my new favorite word, and definitely explains why the Danes have been dubbed the happiest people in the world. Camilla is about to embark on her own Hygge journey as she prepares to live out her dream of working and living in Italy. Hygge! 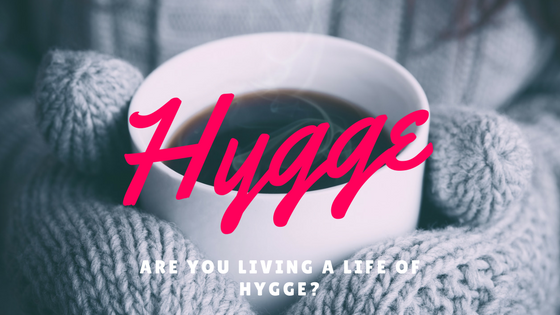 So my friends, how can you practice living a life of Hygge?